Time to plan your Honeymoon? Many people are overwhelmed with information overload when searching for the right honeymoon and others have dreamt about the honeymoon their entire lives knowing exactly what they want, but need help putting it together. 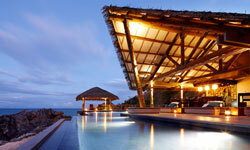 The honeymoon is a highly personal venture that means something different for every couple. 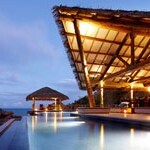 As such, Remarkable Honeymoons has put together some ideas for you to keep in mind as you plan the perfect honeymoon. Your Honeymoon Planning interests may include sightseeing, relaxing, spa treatments, doing nothing, seeking extreme sporting opportunities, having a cultural experience, among other wonderful things. Having both of you on the same page is really important. First Step: The first step is for you to both sit down and discuss what you both want out of your Honeymoon. Your interests may include sightseeing, relaxing, spa treatments, doing nothing, seeking extreme sporting opportunities, having a cultural experience, among other wonderful things. Having both of you on the same page is really important. Make a list to share with us here at Remarkable Honeymoons. Most couples have dreamt about their honeymoon, it is very helpful to share that dream with us – your perfect day, your perfect night? Experiences that you want to create such as a romantic horseback ride on the beach or a moonlit evening in a Jacuzzi with flower petals floating, candles and Champagne. If you can describe the iconic moment in most cases Remarkable Honeymoons can help you create it! Second Step: Do you want to travel outside or inside of the country? How far are you willing to travel? Do you have mileage available for the flights? Do you have any affiliations that you are hoping to use either for perks or to use points? Keep in mind that passports are required for almost all travel outside of the United States. Remarkable Honeymoons can send you a link to the passport website should you need to apply for one. As a general rule of thumb, you passport must be valid for a minimum of six months from the last date of you trip or you will need to renew. For instance, if you are leaving the country on October 7 and returning on October 16 2013, your passport must be valid through the 16th of April 2014. Third Step: Budget – what do you want to spend and what do you hope it will include? Having a realistic budget is a very important. If you want something truly all inclusive and less expensive, those are usually found only in the Caribbean and Central America. Truly all inclusive means that all meals, all beverages, and all activities are included in what you are paying. There are many resorts in the South Pacific that include all meals. Some include drinks and others do not. Remarkable Honeymoons asks that you share your budget with us so when we suggest resorts and/or locations they will fall within that budget amount. If you are looking for a resort and/or location that does not offer an all-inclusive plan, you will also want to set a secondary budget for meals, beverages and activities while traveling. You will also want to consider the local currency of the country where you will be traveling, and whether it will affect pricing. Forth Step: Contact your travel agent! A good travel agent will be able to work with a wholesaler who should be able to offer you pricing that is at or below what you can find anywhere else. A good travel agent is also someone who is there to help you every step of the way from offering packing advice, to working with the airline if there is any type of delay. Those who book on their own can be in for a surprise when they find themselves stranded or unable to get help due to being bumped off their flights. It is especially dangerous to book with online booking engines during the holidays. Many of our clients have come to us after having gone through a bad experience such as this. Your travel agent is someone who will become a trusted friend and advisor throughout the entire process. A good travel agent will be able to take your list of wants & needs and turn them into the honeymoon of your dreams. In many cases we have found that while you might have originally asked about Tahiti, Fiji is really what you want based on your description. The goal at Remarkable Honeymoons is to offer you choices that will deliver exactly what you are looking for. Fifth Step: Time to relax and let your travel agent put your trip together for you! While we prefer it when people book in advance, the average booking window is between 6 and 9 months prior to departure. Many of the smaller, boutique resorts sell out in advance due to being small and popular. Let a romantic travel designer put together an amazing trip for you! When a travel agent sends you a quote for review please respond to every detail. You like this?….You don’t like that?……It is perfect! We expect to have to revise a quote once or twice, even more if necessary; this is just part of the process. While we strive to offer the lowest rates, from time to time lower rates might be found. Please share that information. It is our job to ensure that you are comparing apples to apples. In just about every situation the lower quote is missing a vital component that could present problems while traveling.